Dr. Rembeck is one of the top physicians in Germany for the sixth time in a row. This is the result of an extensive study conducted by the independent research institute MINQ on behalf of the news magazine Focus. Dr. Rembeck excels in the field of knee surgery. For more than 20 years, FOCUS has been awarding the coveted Gold Seal to outstanding doctors. 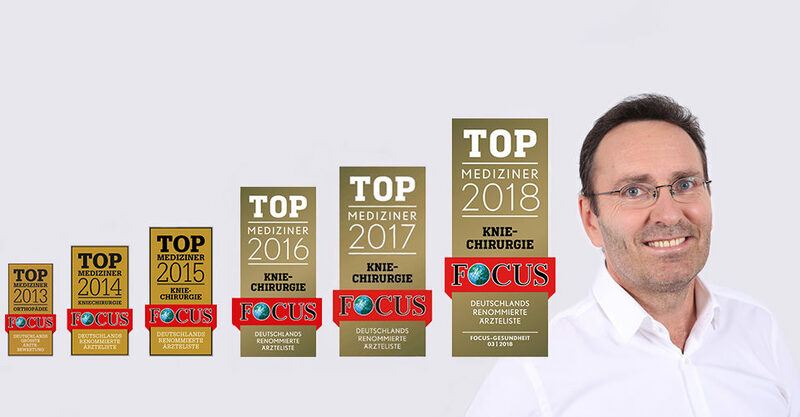 We are very pleased that Dr. Rembeck has been awarded again this year for his excellent professional competence in the field of knee surgery!